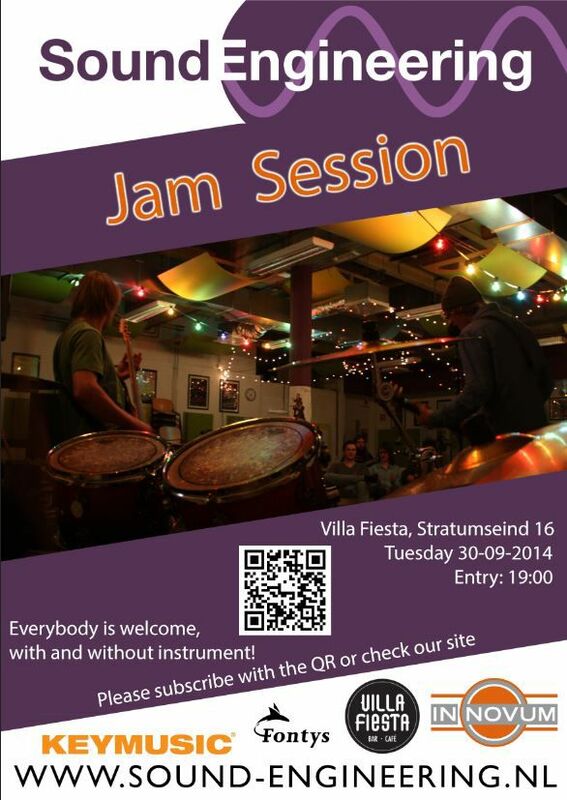 Tuesday, September 30th Sound Engineering organizes their 5th Jamsession. 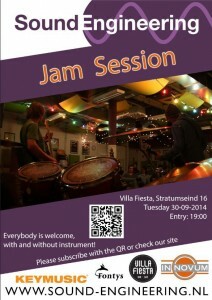 Anyone can come, even if you don’t play an instrument and just want to listen and have fun . There will be a backline available for anyone to use. But of course you can bring your own guitar, plectrum, keyboard, drum sticks, bagpipes, triangle, harp, timpani, horn, saxophone, etc. Keep in mind that you are responsible for the transportation.